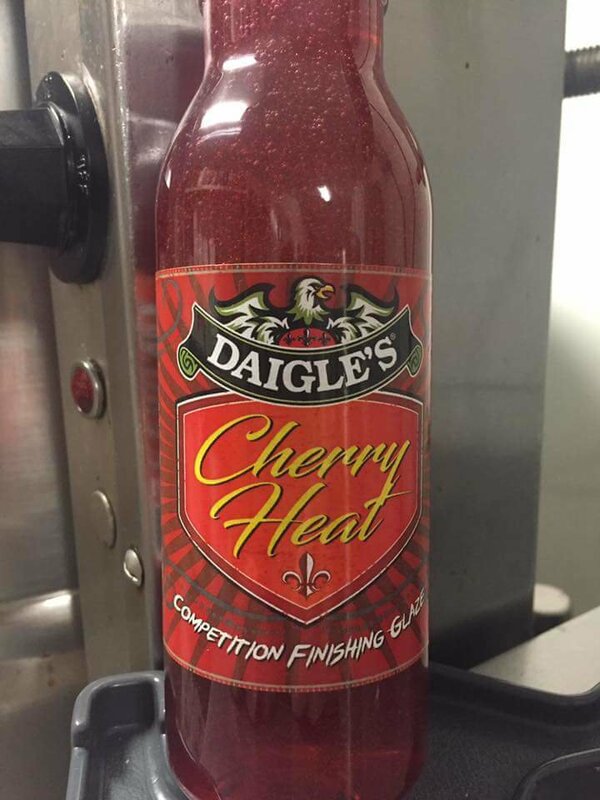 All New Daigle's Cherry HEAT Competition Finishing Sauce!! Made with Habanero peppers. Perfect for applying to ribs, chicken, and seafood. For competition style ribs use Daigle's BBQ Sauces first let that sauce set on the meat, then come back with Daigle's Competition Finishing Glazes to put the finishing touches on the meat! Next put back on the grill to let it set one more time to give it the nice shine and glaze the judges will love to see and once they put it in their mouth, they will want to take another bite, I promise!